She was pregnant with her first son, says Melissa, the first time that her abuser hit her and threw her to the ground. The violent strangling, punching, stalking and psychological torture would escalate for the next 8 years, until Melissa and her two sons were able to find safe refuge at a local domestic violence shelter. A new, nationwide report from the National Network to End Domestic Violence examining a random day in the United States – September 17, 2013 – found that thousands of requests from domestic violence victims, including families like Melissa, seeking life-saving, emergency shelter, were turned down because of severe underfunding of service programs. The full report will be released at a Congressional briefing on Capitol Hill where Melissa will share her story with media for the first time, and advocates and experts will call on policymakers to provide an additional $35M in funding to support domestic violence programs and $147M for the comprehensive criminal justice response to domestic violence, dating violence, sexual assault and stalking. Nearly 10,000 requests from domestic violence victims (9,641), including asks for emergency shelter, housing, transportation, childcare and legal representation, and were turned down because programs did not have the resources to provide for them. The majority of unmet requests (60%) were from victims who had bravely decided to leave their abusers, and were seeking safe emergency and transitional housing. What happens to these victims when help cannot be given is not always known. But 60% of programs report that those victims return to their abusers, 27% report that victims become homeless, and 11% report that families end up living in cars. In the United States, two women were killed by their abusers. In Massachusetts, a woman escaped after her husband severely assaulted her and threatened her with a knife. In Illinois, a little boy jumped in front of his mother to protect her from her abusive husband. In Arizona, a woman was stabbed and raped by her abusive partner in front of his friends. The report, “Domestic Violence Counts 2013: A 24-hour Census of Domestic Violence Shelters and Services,” also showed that 66,581 domestic violence victims received services on Sept. 17th. The number of unmet requests reinforces however the urgent need for increased funding. The census was conducted by the National Network to End Domestic Violence and released with support from the AVON Foundation for Women. Information was collected from 1,649 out of 1,905 (87%) identified domestic violence programs in the United States during a 24-hour period. With 87 percent participation, more women and men may have accessed services or been turned away on September 17, 2013, than reported here. Now more than ever, domestic violence programs and shelters across the country are operating with less funding and fewer resources and staff. The expected increase in service requests makes it even more urgent that policymakers and the general public advocate for increased funding for these life-saving programs. 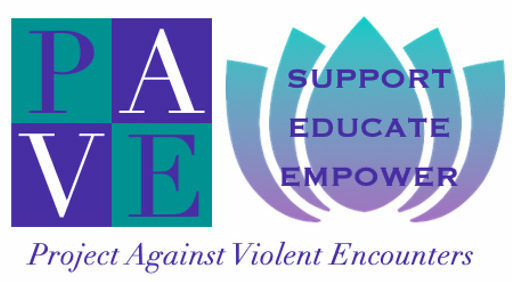 To petition your legislator for increased funding for survivors of domestic violence, visit www.nnedv.org To see complete study, VIEW HERE.